Did you know that more than 54 million Americans are at greater risk of breaking a bone? We’re being literal here! That’s because about 10 million of these individuals have osteoporosis, while the rest suffer from low bone density. In any case, both groups have a higher tendency of breaking a bone. Even if they don’t, they can still develop a condition called vertebral compression fracture. About 1.5 million cases of these “cracks” occur every year in the U.S. Most of them happen in people with osteoporosis or low bone density. If you fall under any of these two high-risk groups, it’s a must to pay more attention to your spine (and general bone) health. There are ways to treat and protect yourself from a compression fracture. Keep reading to learn about these treatments and prevention tactics! It’s a type of fracture (think cracks or breaks) affecting the spine. Also known as a spinal or lumbar compression fracture, this injury often results from osteoporosis. In general, health professionals diagnose this for spinal vertebral bones that have lost anywhere from 15 to 20 percent of their height from a fracture. Did you know that osteoporosis literally means “porous bone?” That’s because the condition causes bone loss (including loss of bone strength). This results in a greater risk of fractures. Osteoporosis is a “silent disease” since many don’t notice its development. In many cases, it doesn’t come with symptoms – not even discomfort or pain – until it results in a fracture. This disease can even make sufferers shorter (as it decreases their height). It also causes dowager’s hump, a condition that gives the upper back a rounded appearance. Osteoporosis doesn’t cause all compression fractures. But if you suffer from it, you’re more likely to sustain such bone injuries. Thinning and weakening of the bones are part of the aging process. But osteoporosis makes them worse. It causes severe weakening of the bones, which then makes them more susceptible to breaking. This means that osteoporosis sufferers can fracture themselves even with the simplest activities. Extending the arms to reach for something, twisting to look around, and even coughing or sneezing may lead to a fracture. That’s why even the slightest excess pressure on a weakened spine can cause it to fracture. When this happens, the front of the vertebra cracks. Over time, it decreases in height. Back pain – check. Intensified back pain when standing or walking – check. Loss of restricted spinal mobility – check. All these are common compression fracture symptoms. Especially back pain, which can affect as much as 80 percent of the population. Note that back pain is so common that it’s a symptom of many other conditions. For instance, those who have lumbar degenerative disc disease also suffer from back pain. The pain that comes with a compression fracture often affects the area near the back. In many cases, these fractures develop near the waistline. But it can also occur in the mid-chest or the lower back area. Moving also makes the pain more apparent or severe. This is especially true when you change positions. Or even when you cough or sneeze. Another sign that you have a spinal compression fracture is when lying down or resting relieves the pain. Keep in mind that while acute (short-term) back pain is more common with vertebral fractures, these bone injuries can still result in chronic (long-term) pain. Not addressing it right away can also cause your internal organs to crowd. Furthermore, the pain you experience can lead to loss of physical activity and exercise. This may result in muscle loss and weakness. All these can affect your self-esteem. All these stats and facts about compression fractures can make anyone concerned, especially if you already suffer from osteoporosis. But don’t lose to your condition (and pain) yet! First off, you don’t have to worry too much about spinal cord damage or nerve injuries. That’s because most compression fractures only damage the front area of the vertebral column. You do need to address your osteoporosis right away. Treating the root of fractures is key to preventing them from worsening and growing in number. Also, osteoporosis treatment is very effective in most cases. Know that even simple changes in sleeping positions can help ease back pain. For instance, you can try putting a pillow between the knees and sleeping on your side. Besides adding calcium supplements to your diet, you should also stock up on vitamin D. If you smoke, keep reducing it until you quit. Not only will this help with your osteoporosis and spinal compression fractures, but it will also benefit your lungs, skin, and teeth. Sometimes, spinal compression fractures can still cause pain even after you implement all the above-mentioned tips. If resting, pain medication, or back bracing didn’t help, consider surgery. Today, you’ll find minimally-invasive surgical procedures for osteoporosis and compression fractures. There’s Kyphoplasty, for instance. Also known as “Balloon Vertebroplasty,” this spinal compression fracture treatment helps in restoring the natural shape of the spine. It also helps ease the pain, with some patients feeling its beneficial effects right away. This is only one of your treatment options, though. 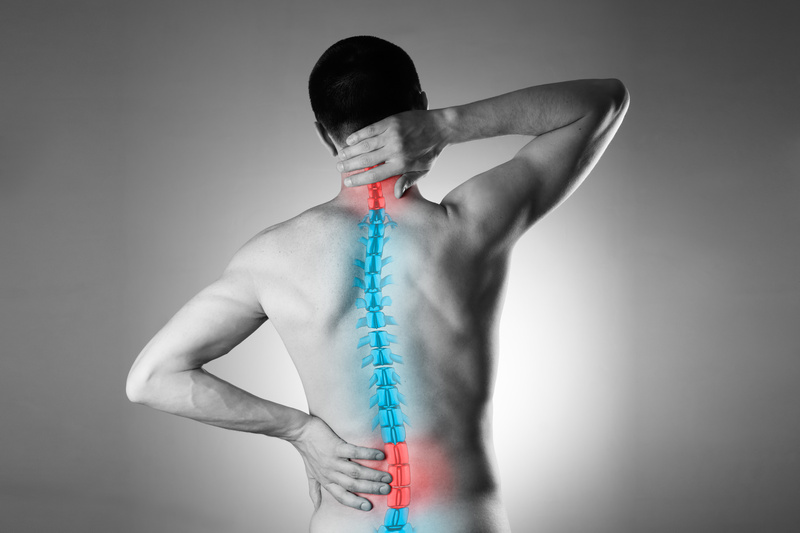 To find out if you’re a good candidate for this treatment and others, it’s best to consult a spinal disorder specialist. Suffering from a vertebral compression fracture stop you from living your life. With advancements in spinal health technology, you can be back on your feet (and back) and prevent osteoporosis complications. You should also check our other back pain management tips to help you live a healthier, more comfortable life!